Stone columns have become extremely popular for construction projects throughout North America. From Chicago and Florida to New York and even Toronto, these pillars have become part and parcel of every domestic and commercial building project, and it’s very easy to see why. Stone pillars can not only transform the looks of a home but also improve the value by taking support to a whole new level. However, this will only happen if you know what to look out for. This guide will help you identify the factors to consider in architectural stone columns. The first question you will have to answer is which kind of material will work best on your property. Some of the more popular choices include marble, limestone, sandstone as well as granite. Your choice of material will depend on availability, durability as well as the cost. Do not make the mistake of concentrating only on the looks. Over the past years, stone columns have become popular thanks to their retro look that adds diversity to contemporary structures. However, you do not want your home to have the same redundant look every other home has. This is why you need to choose a unique style that will make your place stand out in the neighborhood. Stone pillars are always attractive additions to have around the home, whether on the indoors or outdoors. However, you have to be very careful when choosing the number of pillars to install. Very few pillars may not adequately bring out their touch of elegance. On the other hand, too many pillars could make the place look crowded. As a homeowner, you are not expected to know the prefect size you need to choose for your stone pillars. 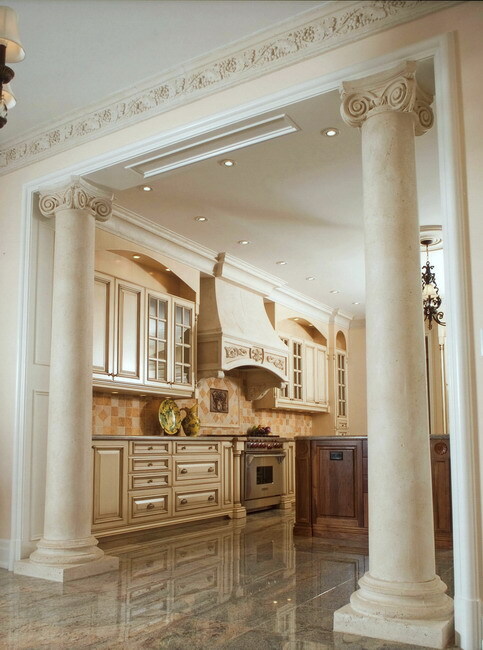 This is where the advice of a reliable stone column designer such as Marvelous Marble Design Inc. will come in handy. Posted 6 years, 7 months ago at 1:28 pm.